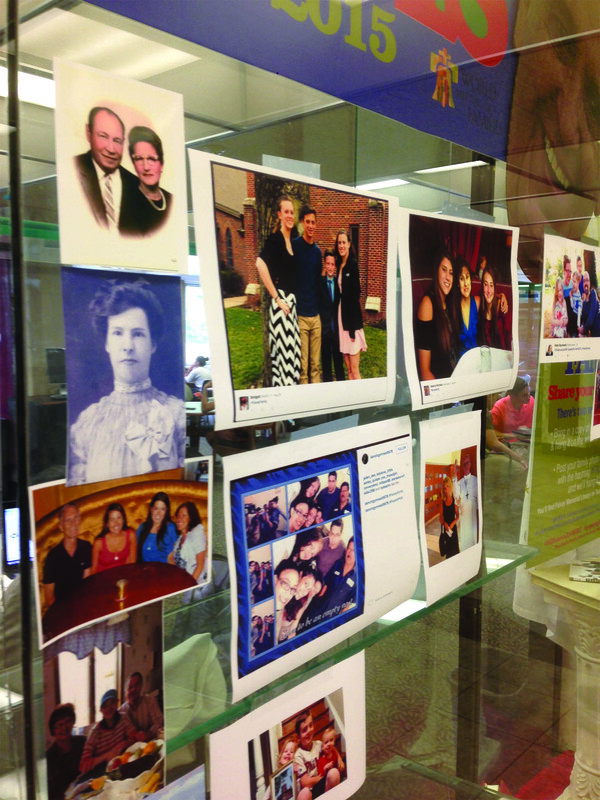 ADD YOUR FAMILY PHOTO TO OUR #FALVEYFAMILY DISPLAY & WIN SOUVENIR SIGN! If you would like the opportunity to take home the large sign of our Pope Francis display as a commemorative souvenir of the 2015 World Meeting of Families, please fill out a ticket with your name and contact email available near the display. 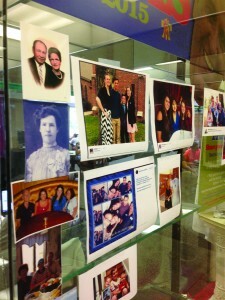 For a second entry, enter a family photo to be included in our display. (For remote participants, hashtag your photo #falveyfamily.) The random drawing will be held in November, when the display is dismantled. …and it’s sans. 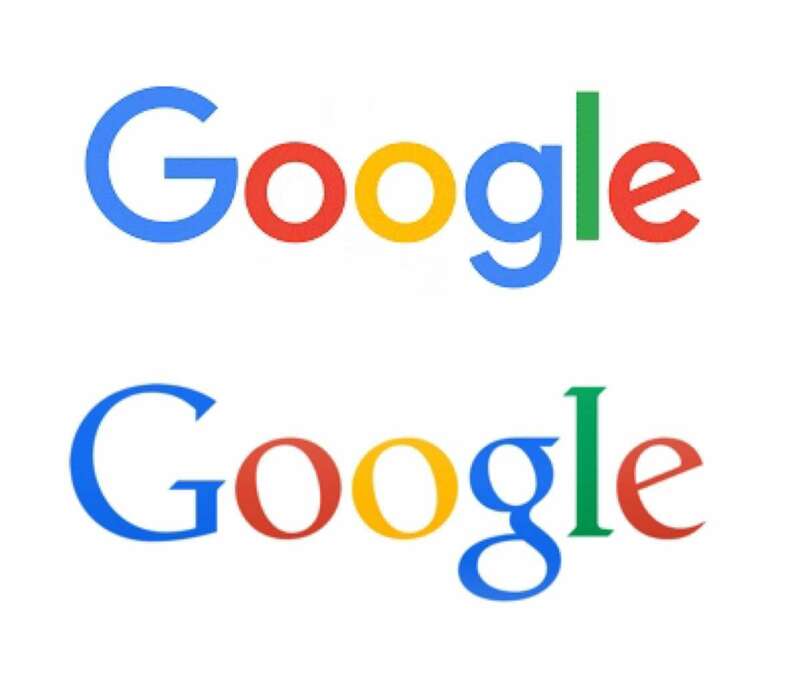 Google has changed its logo – did you notice? Redesigned to reflect material design – a sensibility which marries the tactile, physical world with technological capabilities (I admit it – I had to look it up) — the new rainbow G logo is legible on the tiniest screens as it only measures 305 bytes as opposed to the existing logo, which measures 14,000 bytes. And living on tiny screens count among Google’s newest, biggest goals, according to new CEO Sundar Pichai. —that comfortable, quiet room to the rear of Falvey’s first floor is an open computer lab? 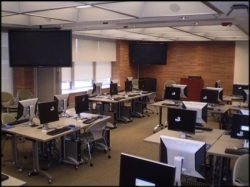 The Griffin Room, when it isn’t being used for instruction, serves as an open computer lab with 32 computer workstations—each able to send work to Falvey’s printers. Did you hear that McDonald’s is going to serve breakfast all day? Not that we’re in the business of encouraging less-than-nutritious food choices, but every once in a while, don’t you just want some pancakes and eggs for dinner? Now you can! Treat yourself. 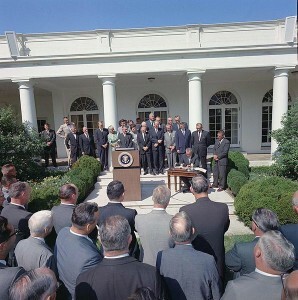 Today marks the 51st anniversary of the signing of the Wilderness Act, made law by Lyndon B. Johnson in 1964. This act provided means of protection for vast areas of American wilderness (9.1 million acres!) and the creation of the National Wilderness Preservation System. These “unspoiled” lands can be enjoyed by hikers, campers, fishers, and other wanderlusting humans – and we’re happy this law keeps the gates open for the next generation’s Thoreaus!